Today’s imaginative food artists are creating gorgeous plated pieces that are more than good enough to eat. Being served a particularly well-plated meal brings about a certain sensory joy, but some people are taking it to the next level, creating bona fide pieces of edible art with imaginative embellishments like hair crafted from curlicues of fusilli and flowers made from finely shaved radishes. Rather than using a canvas or a frame, the display method of choice for these creators who prefer pasta to pastels is, appropriately, the plate. Creating art out of food is nothing new. In recent decades artists have made a splash with it in the art world, with works like Judy Chicago’s groundbreaking feminist masterpiece The Dinner Party and conceptual artist Jennifer Rubell’s elaborately artistic spreads served at galas, which have included cheeses in the shape of her own head and a Jackson Pollock–inspired chip-and-dip station. While these artists have been inclined toward large-scale culinary spectacles, many food artists working today keep their creations confined to a standard plate or bento box, a limitation that allows for their elaborate detail work to shine. Malaysian artist Red Hong Yi’s “31 Days of Food” series intricately replicates iconic images from pop culture or art history on a single white dinner plate, while burgeoning food artist Samantha Lee sometimes incorporates display methods into her scenes, such as using a black plate as the galaxy that an edible rocket is launched into. Food artist and photographer Lauren Purnell, who runs the blog Culinary Canvas, says that confining her work to a plate allows her to develop a recognizable presentation style as well as signifies that her art is indeed made of food, because sometimes her work is so detailed that it may not be immediately clear it’s also edible. Joyce has done food styling for commercial photography and film for some time but has only recently started creating more of her own food art. This has allowed her to express herself through food in a more personal way, without having to answer to a client. One of the projects she feels best illustrates this is A Tribute to Budgie, which dealt with her grief from the loss of both a relationship and a pet bird. Purnell began creating her food art under more ordinary circumstances: After cooking spaghetti carbonara for some friends, she found herself fashioning the leftover noodles into a tree shape, then posted the results on Facebook. People liked it so much that she started exploring what else she could do with food. She hasn’t stopped since. Joyce says her favorite materials include sunflower seeds and eggs, while Red Hong Yi told Gastro Obscura she has a fondness for rice and Purnell says she’s drawn to scraps of food that would otherwise be discarded, such as pits and skins. Purnell and Joyce say they enjoy working with fruits and vegetables due to their multifaceted nature — one piece of produce contains multiple colors, textures, and shapes. Purnell, for instance, once created a penguin made exclusively of different parts of an eggplant. Rather than wielding paintbrushes or potter’s wheels, these artists create using what they can find in their kitchen, or utilize unexpected tools: Joyce has employed dentistry equipment and tweezers. Not all food is easy to work with; Purnell says produce that is soft or contains a lot of liquid, like avocados and tomatoes, can be unpredictable. Several artists told us it takes two to three hours to create a piece, but the nature of their materials also gives them a time limit, so they couldn’t spend much longer than that even if they wanted to. Most art is meant to be exhibited or collected, but food art breaks this mold as well, due to its uniquely perishable nature. It also can be literally consumed: Yi told Gastro Obscura that she usually stir-fries hers after it’s been documented. Lee plans her creations knowing they will be eventually consumed, explaining that she always tries to include a carb, protein, and fiber in each piece. Thus, personal websites and social media like Instagram have become the most prominent platform for food artists to show their work. Ida Frosk, a Norwegian food artist with a significant Instagram following, quit her job in 2015 to do food art full-time, receiving a book deal in the process. But social media isn’t the only place for food art. Purnell has made a few prints of her work for friends and family. Joyce has had her food art prints included in exhibitions and publications, including Food Design Week in Venice, and has participated in interactive food art events. So the next time you find yourself playing with your food, consider what kind of art might be possible if you kept going. Watch artists playing with their food in very creative ways here. Get a taste of 9 of the world’s food museums here. For a French-trained chef doing very playful things with cookies, head here. To read about artists reimagining restaurants, click here. 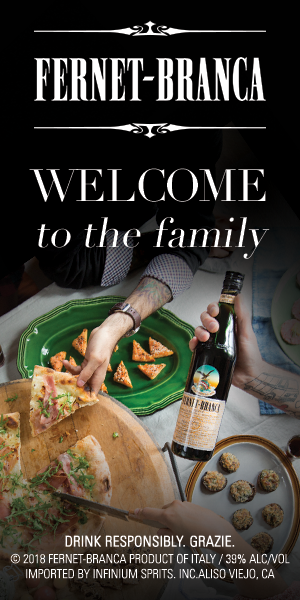 To discover more distinctive culture, try Heritage | Fernet-Branca. Cassidy Dawn Graves	is a writer, performer, and event producer/curator based in Brooklyn. Find her past work at cassidydawngraves.com, her latest writing + shows at tinyletter.com/cdg, and her sometimes-comedic folk-pop tunes at soundcloud.com/cdgcdg.